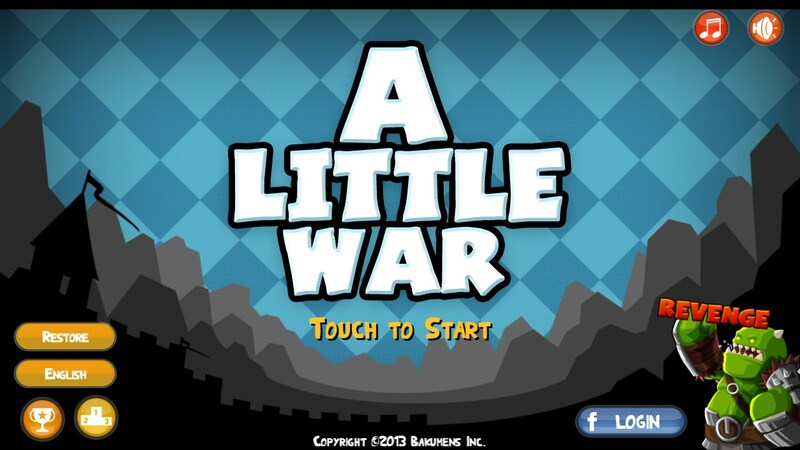 A Little War – Games for Android 2018 – Free download. A Little War – My Little Conquerer . 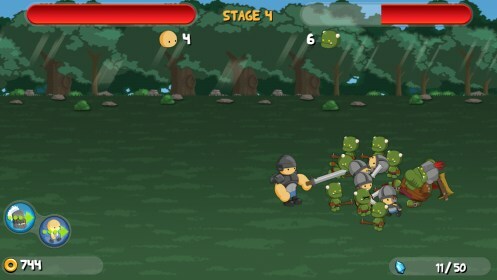 A Little War for Android is an itsy bitsy, teenie weenie medieval clash of the (mini) titans. It's very simple and easy to play. Perhaps a little too easy, though surprisingly addictive. 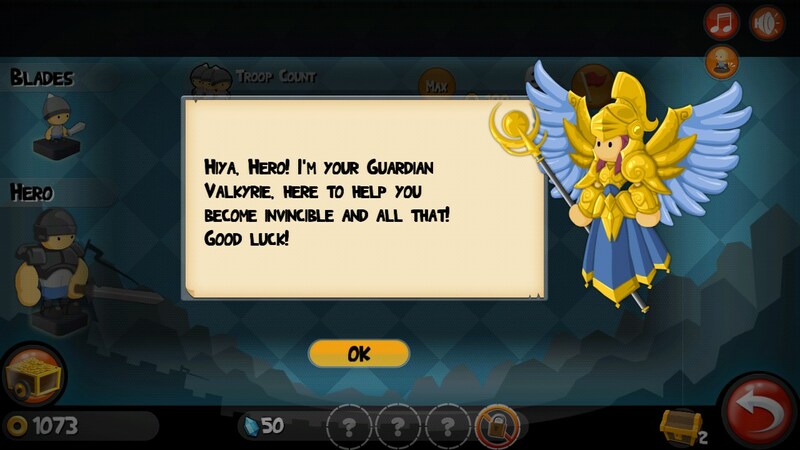 Basically you are the hero of your own little army. 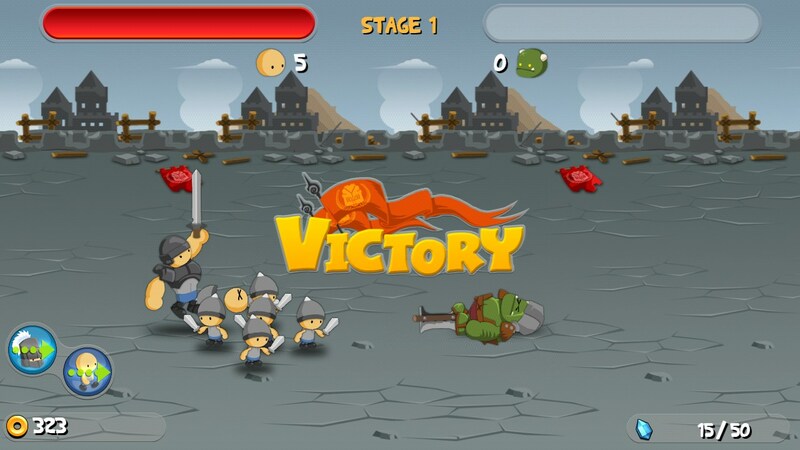 Fight your opponent, defeat the ogre and maybe even do a little pillaging. (After all, where's the fun in conquering without pillaging.) 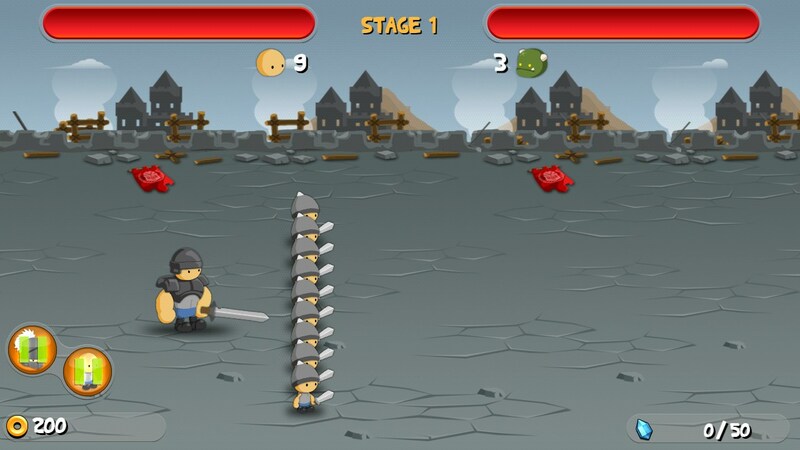 The bloodshed takes place on a surprisingly intricate battlefield. You can zoom in and out to watch the bloodshed unfold. There's blood, gore and mayhem, all laid out in a Saturday morning looking cartoon battlefield. A Little War is very easy to play. The controls are almost nonexistent. 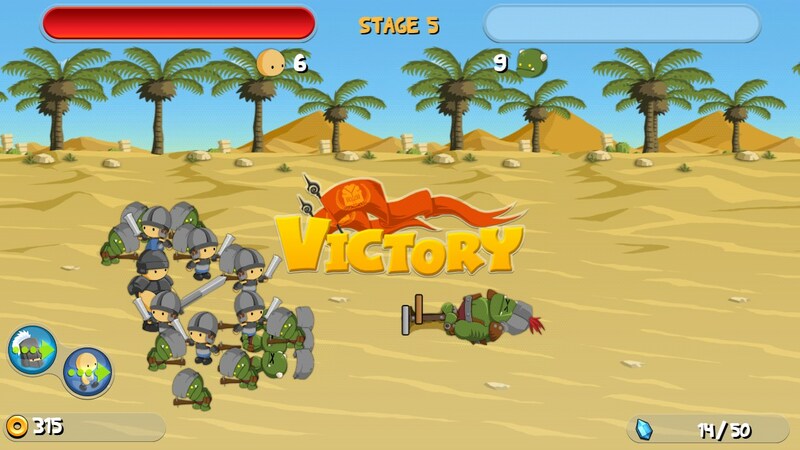 Push one button to make your troops charge, push another to make your hero follow after them. Then sit back and watch the carnage. At first, I was jabbing and poking the screen, thinking I has some involvement in the mayhem, but I soon figured out there's literally nothing to do but watch the bloodshed seep into the battlefield. Kids would love this because it takes very little skill or know-how, yet there's plenty of fun to watch. Parents might hate it because it's violent and you quickly need to spend money on the endless power ups, strength upgrades and extra weaponry. None of it really makes a lot of sense or is very well presented. 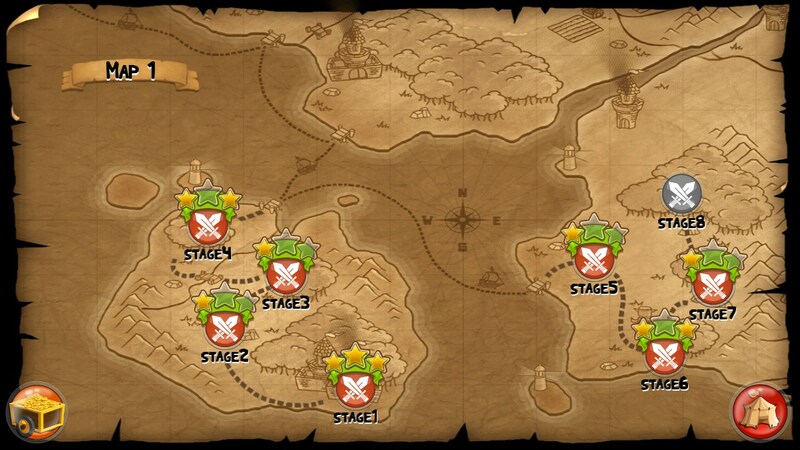 The upgrade screens could use some streamlining. It feels surprisingly cluttered and overdone, despite the teeny fonts. The movements are a little robotic, and it all has a Saturday morning, kid's cartoon feel to it. Not sure if that's disturbing or charming, but it definitely will appeal to young, budding conquerors out there. *Slash*Gash*Dash - Arg! Victory is mine! Even with the flaws and lack of real game play, A Little War is actually quite addictive and fun to watch. Not a lot of variety to hold your interest, from one level to the next, but fun all the same. This game should get better and better with successive updates. Ok, I guess I'm hooked. Become a wordsmith in seconds!